With hot weather finally upon us we’ve scheduled a slate of tastings featuring sake that offer refreshing flavors to slake the summer thirst. We look forward to seeing you at one or more of these events at SAKAYA this month. 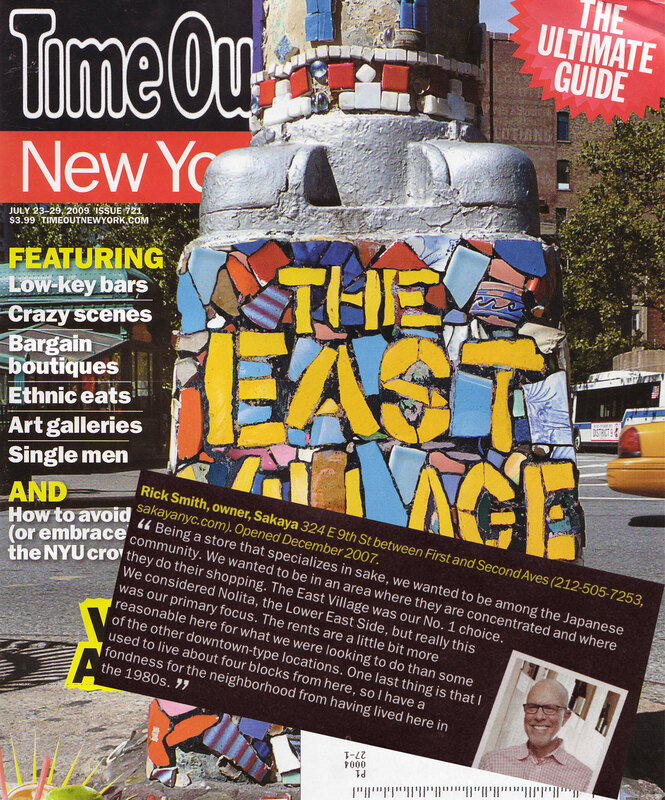 We are delighted that SAKAYA was included in Time Out New York’s cover story on the East Village. Rick is featured in “Why the East Village?” by Pervaiz Shallwani. You are currently browsing the Sakaya NYC Blog weblog archives for August, 2009.